We produce an range of pure linens for curtains, soft furnishings and upholstery. Our ‘Aged Linens’ are exactly that – we have developed a unique finish for the linens that replicates not only the subtle look of antique and vintage fabrics but also the feel, resulting in a entirely unique handle. The linens are all pure, woven either in Scotland or Belgium, and printed and finished in England. We are proud to work with a number of highly skilled British companies in the production of our linens. Designs either reproduce or are based on archive fabrics and mean that, for the first time, it is actually possible to source ‘antique’ fabrics by the metre. After ascertaining your needs from the initial contact, we visit you in your home or workplace and bring with us sample books of materials, together with examples that fully illustrate the finished fabrics. This allows us to discuss your ideas and aid you in your choice of colours and the finished design. Our consultation, measuring service and quotation are all FREE OF CHARGE and carry no obligation on your part to proceed further. Our bespoke hand finished service includes cushions and bedding as well as lined, interlined or blackout lining for curtains, pelmets and roman blinds, together with a choice of headings including but not limited to eyelet, tab top, pencil pleat, double pinch pleat and triple pinch pleat. Our service also offers vertical and venetian blinds in a variety of finishes. All professionally finished and of the highest quality. We can also supply a stunning range of wallpaper that has been designed to co-ordinate with some of our fabric ranges. The final stage of fitting can be arranged with the same level of detail and professionalism. Whatever your needs whether it be refurbishing existing curtains or, for example, changing curtains to blinds, we would be pleased to help. The House of Clancy-Stewart is in Wirral/Cheshire and also Redhill Surrey. 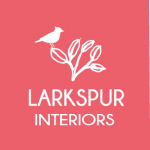 We specialise in Bespoke curtains, blinds and soft furnishings and also have a range of wallpapers and gift items. Bespoke curtains blinds and soft Furnishings made locally in north Devon. The finishing touches to your home. Agent for Kobe Fabrics, James Hare Silks, Fibre Naturelle, Design Forum. Corcoran Window Furnishings Ltd (CWF) is a leading wholesale and manufacturer in the soft furnishings and window furnishings industry supplying a comprehensive range of very high quality products to retailers, wholesalers, fitters, interior designers and architects in Ireland and Northern Ireland. 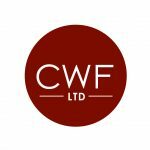 CWF products include blind systems, fabric collections, linings, trimmings, curtain poles, tracks, flyscreens and cubicle track systems. We have our own manufacturing facilities which enable us to provide increasingly popular made-to-measure services on roman blinds, TwinTex blinds, roller blinds, vertical blinds, curtains, poles, tracks and kits. We are specialist motorisation experts and work closely with Somfy, the market leader for home and commercial automation of window furnishings. 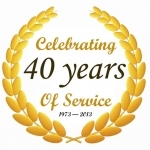 With 40 years in business, we carry extensive knowledge from our roots in both retail and fitting. We continually develop new products, using our expert in-house design service together with our network of the best European manufacturers to deliver superior quality products and service to our valued customers. At Corcoran Window Furnishings we take pride in our work, which is why our name has become synonymous with superior quality, value for money and customer satisfaction. At CUSTOM INTERIORS by Morag we make hand sewn, made to measure curtains, blinds and soft furnishings. Will will help you with your fabric and design choices to give you the look you’ll love and supply and fit poles and tracks. We also offer an upholstery service to complete your look alongside coordinating decorating or more complex projects such as house renovations and extensions. We are an exciting new business, and we are passionate about bringing affordable, high quality products to the general public. With a drive and a determination to make our mark in the fabric world, we produce hand made, bespoke, items for the home and garden using designer fabrics and traditional materials. We have sourced beautiful fabrics which we sell by the metre along with our collection of hand made gifts and products. We also have our own fabrics, designed and printed here in the UK and are signed up members of the Made in Great Britain trade mark. Briant Curtaining offer a complete range of Curtains, ready made curtains, made to measure curtains or bespoke curtains, Blinds including roman blinds, venetian blinds, vertical blinds and roller blinds plus Tracks with choices of electric curtain tracks from silent gliss, swish curtain rails and a complete range of wooden poles, metal poles or bay window poles and finiales. Look around our curtains shop online or call in to our Coventry and Warwickshire showrooms. We offer full design, makeup and installation service. 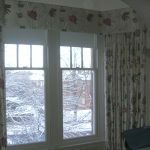 Offering solutions for all window requirements including, Curtains, Blinds, Awnings, Reupholstery. At Harrison Moss Interiors we specialise in the design and supply of high quality soft furnishings, bespoke and mainly hand-sewn in our Hertfordshire workroom. We offer a complete service from design and advice to full installation. We sell fabrics and have an array of books for you to look through. Tracks and poles and we offer professional fitting. 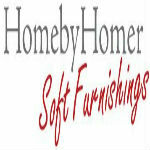 We also provide an upholstery service for dining room chairs, drop in seats, armchairs and headboards. We offer a complete bespoke service for all soft furnishings from supply, measure, makeup and fitting. All poles and tracks can be supply only or a fitting service is available. We offer a wide range of fabrics and trimmings to suit all budgets. Qualified and fully insured. Established since 1990. 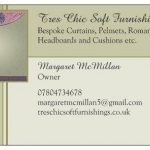 Bespoke, hand made curtains, blinds, cushions and soft furnishings. I can supply beautiful fabrics, wallpapers, poles and trimmings, as well as giving design and styling advice for even the trickiest of windows. I offer a complete service, from measuring and consultation right through to delivery and fitting. 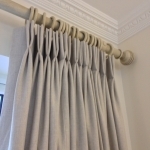 I specialise in Hand Sewn interlined curtains & blinds, each lovingly crafted to enhance your home. 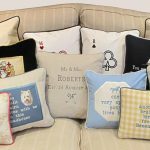 We offer a range of fabrics and luxurious soft furnishings including cushions, handmade lamp shades, bed throws, tablecloths and mens and womens scarves. Our fabrics in beautiful patterns and stripes are perfect for both modern or traditional interiors, woven in silk, linen, chenille and cotton. All proudly manufactured in the UK and Poland to the highest quality. Please contact us for trade prices and samples. 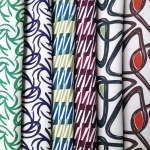 Sarah Waterhouse specialises in hand printed sustainable fabrics. Original designs are printed on to hemp and organic cotton fabrics using organic inks. Hand printed fabric has a distinctive quality and offers a unique alternative to mass produced printed fabrics. We source the finest base cloth fabrics to create a unique collection including coloured base cloths, dyed to our specifications. All of the fabrics are printed in our studio in Sheffield on an eight metre printing table. 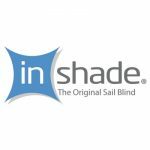 InShade are the original conservatory roof sails manufacturers, providing a styling solution to heat and glare for conservatories across the UK. Our fully patented design makes them a one of a kind shading solutions for homes across the nation. For more information on the product, or to arrange a consultation with one of our trusted local suppliers, get in touch today! 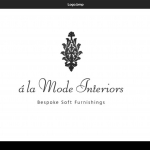 Quality upholstery, beautiful fabrics, cushions and a choice of machine or hand-made curtains and blinds. MYB was founded as an exclusive manufacturer of Scottish Leno Gauze weave, later known as Scottish Madras. ‘Madras’ became a generic term inspired by the product’s wide distribution throughout the city of Madras in India. In 1913 the company invested in Nottingham Lace Looms, enabling them to present a larger variety of products to their clients. The Irvine Valley offered the perfect damp climate for the Nottingham Lace machinery and its product. MYB Textiles is now the only producer in the world manufacturing patterned lace with original Nottingham Lace Looms, some of which are over 90 years old and up to 1220cms wide.This manufacturing process is extremely labour intensive. The looms run at a very slow, controlled pace so as to give a high level of quality control: this attention to detail gives the product its niche. Our upholstered headboards and Pelmets, as well as our Roman Blinds and footstools are Manufactured to the highest standard and quality for you to enjoy for years to come. We bring over 20 years of experience and knowledge to the table, so you don’t need to worry, we will deliver the quality you are expecting.